There's an update to the SwiftKey Keyboard rolling out today, and it's the big 6.0 rev that has been in beta for some time now. You'll notice some substantial changes to the settings UI, but the keyboard itself is getting some cool new features too. It's still rolling out in the Play Store, but we've got you covered with an APK. Here's what you can expect from the updated version. Aside from the new theme, the keyboard won't immediately look much different. However, it now has double-word prediction. 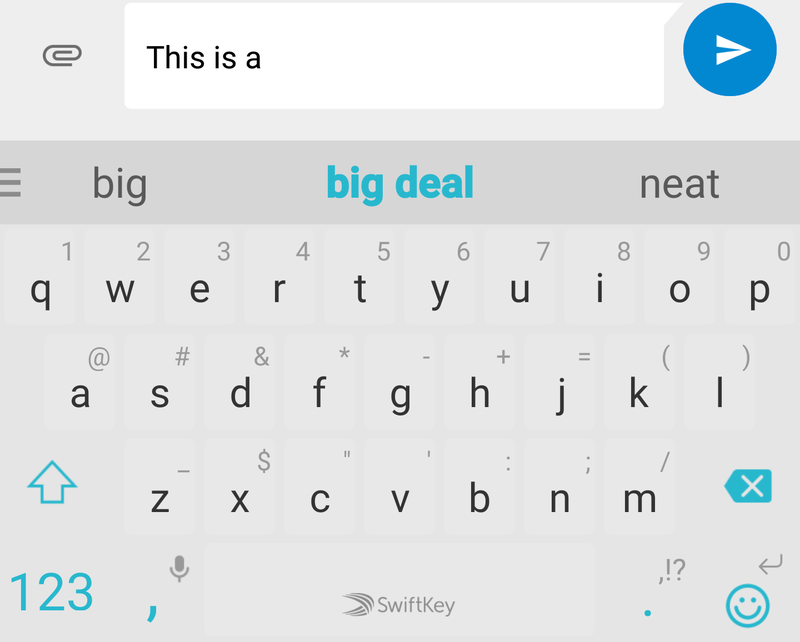 If it thinks it knows where you're going with a sentence, SwiftKey can present two words as a single suggestion (see above). The emoji panel is also redesigned. The settings UI for SwiftKey is much more modern in this update. It has a much more prominent section for your keyboard stats and a FAB that lets you preview the keyboard at any time. The APK is available on APK Mirror if you don't want to wait for the Play Store update to hit you.